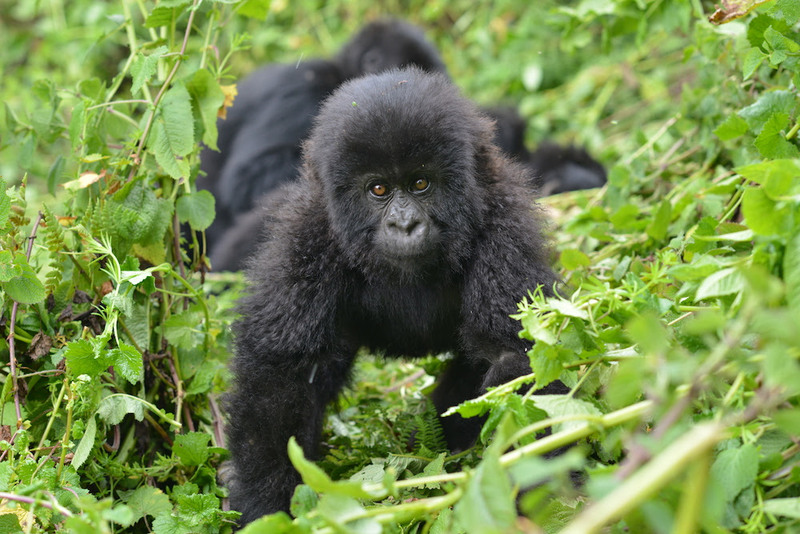 Are you planning to visit East Africa for gorilla Trekking safaris in Uganda, Rwanda and Central Africa (DRC Congo)? It is home to two of Africa’s most popular safari destinations: Kenya and Tanzania along with gorilla encounters in the rain forests of Uganda and Rwanda. An East African safari is a true adventure with a journey crafted in the tradition of wealthy 13th-century traders who first hunted the plains of Africa for wild game trophies to hang on their walls. Today traveler’s hunt for photo opportunities instead of occasions to kill, but they encounter the same scenes that have fascinated explorers throughout history. Many travelers trek to Africa in search of the “big five”: buffaloes, lions, leopards, elephants and rhinoceroses. The chance to get close to these animals in their natural habitats is a once-in-a-lifetime experience, but your trip to the Africa is anything but a trip to the zoo. The gorilla photo safaris can be physically taxing and strenuous, and you may not see all the animals you expected. Since most safari destinations are in developing sub-Saharan nations, travelers must take certain safety and health precautions. If you’re planning a safari or just dreaming about it, be as prepared as possible. Get some good guidebooks, talk to friends who’ve been to Africa and research. We’ve outlined some important African safari tips, from choosing a destination to getting vaccinated, to help you start planning a successful adventure. Best wildlife Safaris start from Kenya the most abundant wildlife can be found in the Masaai Mara National Reserve a part of the vast Greater Serengeti, where massive herds of animals make an annual migration across the plains. But beyond Masaai Mara and the Serengeti lie plenty of other quality parks with abundances of wildlife, including the soda lakes of the Great Rift Valley and Lake Bogoria, where thousands of colourful flamingos reside. Kenya and Tanzania are often combined into one trip. Many people consider these two counties among the best places to go in Africa because they’re where you can see the Great Migration where 2 million wildebeest, zebra, and gazelle make a migratory circle from the Masaai Mara in Kenya to the Serengeti in Tanzania and back again. But even if you don’t go during the migration, Kenya and Tanzania have some of the most extensive populations of wildlife in all of Africa; it’s not uncommon to see 50 elephants in a herd, or to see the Big Five (lion, rhino, cape buffalo, elephant and leopard) on your first game drive. Though Kenya is one of the more popular safari destinations, the country has seen its share of terrorism, violence and kidnappings over the past several years, particularly in the Lamu district and the North-eastern Province. Be sure to check State Department advisories before planning a trip to Kenya or any other developing country. In Tanzania: just like Kenya, Tanzania houses part of the Serengeti National Park, and the best park in which to see great herds of wildlife in Africa. Other noteworthy sites include Mount Kilimanjaro, marine parks off the coast and the Ngorongoro Conservation Area, site of the Ngorongoro Crater and Oldupai Gorge also known as the Cradle of Mankind. The Ngorongoro Crater is one of the largest volcanic craters on earth. Over 30,000 animals live in the crater; it has the densest lion population in the world. Uganda: The most famous safari destinations in Uganda are the country’s many primate reserves. One of only three countries in the world where you can trek to see mountain gorillas in the wild there are only 900 mountain gorillas left in the world, the experience in Uganda is truly nowhere else in the world. Bwindi Impenetrable Forest National Park offer a close encounter to the mountain gorillas and Ngamba Island offer visitors the unforgettable opportunity to get a close look at the chimpanzees and other primates in their natural habitats. Mgahinga Gorilla National Park in Uganda is also home to the Nyakagezi gorilla family with its silver backs and adult males. It holds a certain allure, since it boasts one of the highest concentrations of silver backs within a family. Tours are small, no more than eight people, and once the gorillas are spotted, you have 60 minutes with them and believe me, and it goes really fast. Travelers can also see crocodiles, hippos and exotic birds, and witness the thundering water of Murchison Falls at Murchison Falls National Park on the Nile River and Queen Elizabeth on the Kazinga Channel. With White Water Rafting in Uganda, Uganda offers some of the best grade 5 white water rafting activity in the world. The rafting trip starts in Jinja, Uganda’s adventure capital, where you will find East Africa’s only bungee jumping platform with the drop touching the River Nile itself. Around Africa Safaris can arrange day, overnight or multi-day excursions to Jinja, a 2 hour drive east from Kampala.